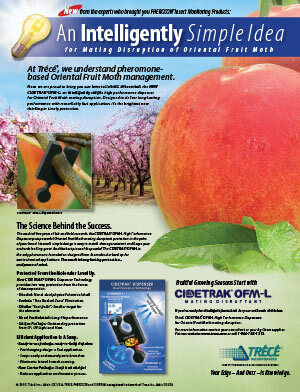 CIDETRAK® OFM-L PP Pheromone-based Management | Trécé, Inc.
or Oriental Fruit Moth, Grapholita molesta in Stone Fruit and Pome Fruit. 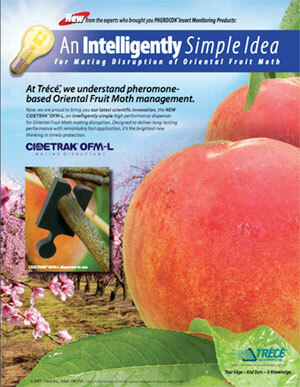 We are proud to bring you one of our original innovations, the CIDETRAK OFM-L Puzzle Piece, an intelligently simple performance dispenser for Oriental Fruit Moth control in stone fruit and pome fruit. The results of five years of lab and field research, the CIDETRAK High Performance Dispenser is designed to delivery long-lasting performance with remarkably fast application. 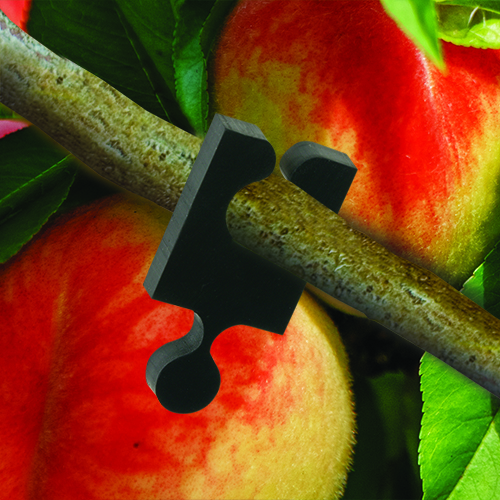 Its small, simple design is easy to install, damage resistant and keep your orchards looking great. Best of all, the CIDETRAK dispenser is the only pheromone formulation designed from the molecular level up for semiochemical applications. 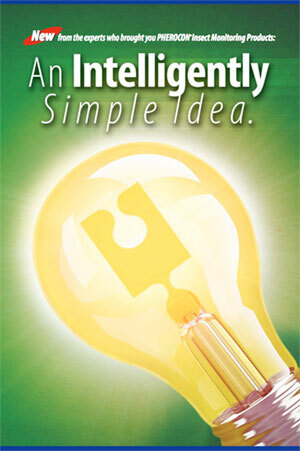 It is made to withstand the elements. 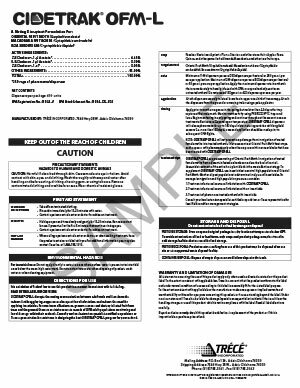 The result is long-lasting protection and peace of mind. 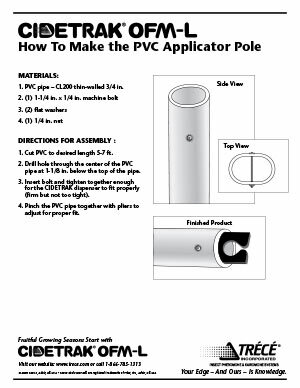 How to use it: Ready-to-use package, ready-to-apply dispensers.